It's hard to believe but it is already a month and a half since we came back from England and for those of you who have been looking, there has been a surprisingly small number of blog posts. There is no excuse really, just a lack of inclination and a lot of work. But today I feel inclined. Actually it's a special day today because, according to the little widget on the side bar on the right, we have only 200 days left in Guyana. That sounds about right because it's 6 months to go on 13th August and that's not far away. Mary and Meg went to Region 8 on Saturday, which is the most remote region in the mountains. 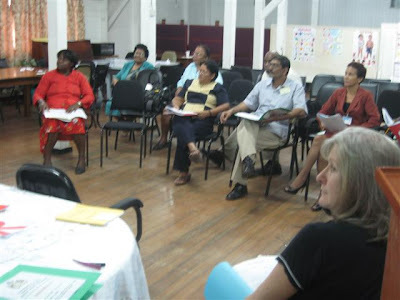 They went to a place called Mahdia to deliver their fast Track Initiative Literacy Workshop. Not sure how many they have done so far but probably around fifteen or so all over the place. They were really looking forward to it, although it took them about 8 and a half hours in a minibus, on an unmade road. When they looked up the town it said it was a mining town, (gold and diamonds), it has a population of between 100 -500, a dry store, a garage, a hotel and a brothel. It left them wondering where they would be sleeping! Anyway, she has just called to say that because of storms, the teachers who were coming to the workshop can’t come because their plane is grounded (no roads) so Mary and Meg have to come back all that way tomorrow not having done anything. That’s frustrating Guyana for you! However, they are enjoying delivering the Literacy programme and they had a lovely surprise at work on Thursday. They were both given a Guyanese gold bracelet and picture of Kaieteur Falls as a thank you for their work. It was totally unexpected but very much appreciated. I have been working very hard on my course and it is now half way completed and printed for distribution throughout the country. I have finished Modules 1 - 4 and and a Programme Handbook. Each is between 50 and 100 pages. I have now started planning for my major workshop for Master Trainers in August. 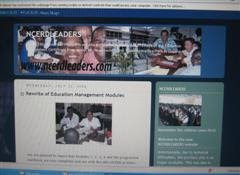 They are Headteachers, Regional and District Education Officers from all over the country. It was a great success last year and everyone who came is very keen to come back again this year. All the feedback shows that the training has been very successful and the exam results for the trainees (Headteacher and aspiring Headteachers) were the best ever. The following week I will deliver a session at a workshop for all Regional Education Officers throughout the country at the request of the Minister of Education on "Raising Standards in Schools and Regions - Proactive Leadership." This will be short but a big one for me. 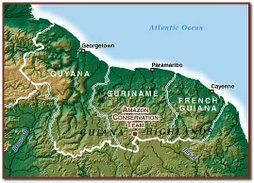 We have heard that there is a programme on Wednesday 30th July about Guyana and its wildlife. It is at 8 o’ clock on BBC 1 and it is called "Lost land of the Jaguar". It's a series and promises to be good so watch it if you can. The weather has been pretty awful for this time of year. it should be dry and hot and sunny. 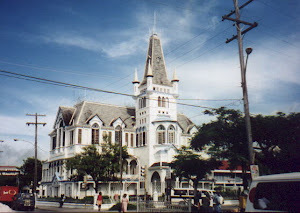 No, not in Guyana. We have the tail end of the hurricanes in Mexico and Texas (better than the hurricane itself, I must say). So we have had serious thunder storms, very heavy rain at no notice, frequent blackouts and it's still hot and the mosquitoes are still around and there should be less of them. But when it's dry, it's very very dry and it's hot all of the time - touching on 34C (95ishF in old money) but extremely humid and feels like 110F at times. But, to be honest we hardly notice it any more and cope very well. It was sad this week because we had to say goodbye to a colleague we have worked with for a year - One year placement for Special needs - Hans Neienhuijsen. He left on Friday to meet his wife in Trinidad after a little reception on Thursday with speeches from the HOD and Director of NCERD and a presentation for all his efforts. We will miss his joviality, friendliness and wit. Good luck in your new life back in the Netherlands, Mr Hans! Things are quiet VSO- wise at the moment. Some are returning home for good, some have gone mountain climbing and some gone back to England. 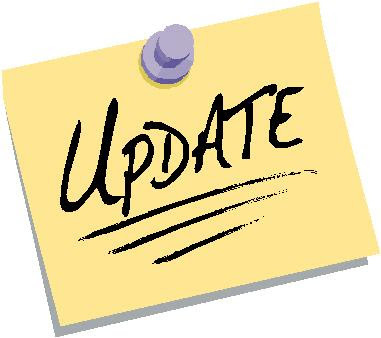 Schools are closed and the roads are quiet but work continues for us at its busiest pace. But with anly 200 days to go (that means 515 have been completed) retirement in Wallington is beginning to seem very attractive! Two or three new volunteers will arrive in August, one of whom will be working in NCERD. She has experience with children's TV in the BBC and her first task will be to assist me in making some programmes about Education Management. She is the third person who has been due to do this but I am convinced that she will come, even though the others weren't able to. Well, it's Sunday evening and I think my inclination has run out or a Banks Beer calls (the sun is definately over the yardarm) 6 o'clock. 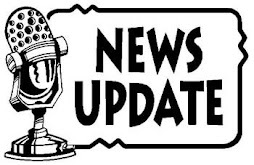 So, I'll wish all of my readers a fond fairwell and hope you found this little update interesting. 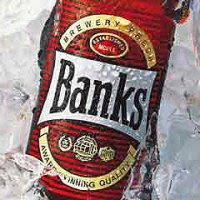 Banks beer makes Guyana a much better place to live in!